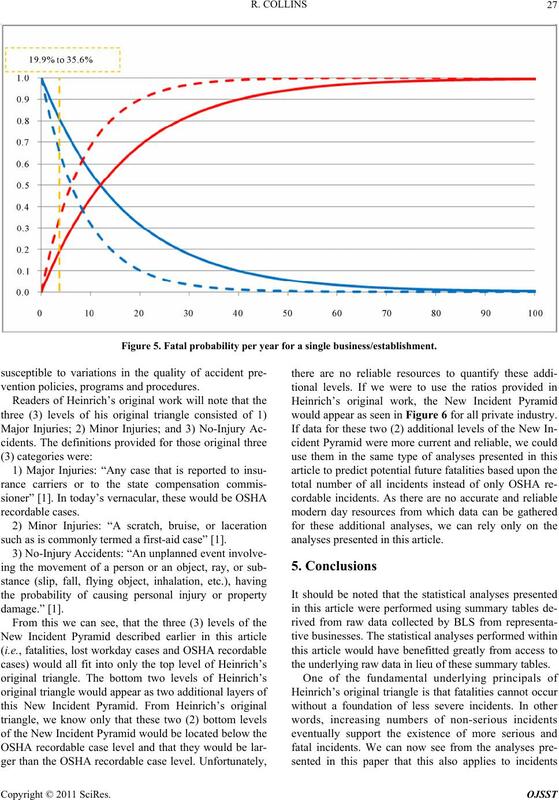 show how information derived from these accident summaries can be used to predict potential future events. defines as a recordable incident case. 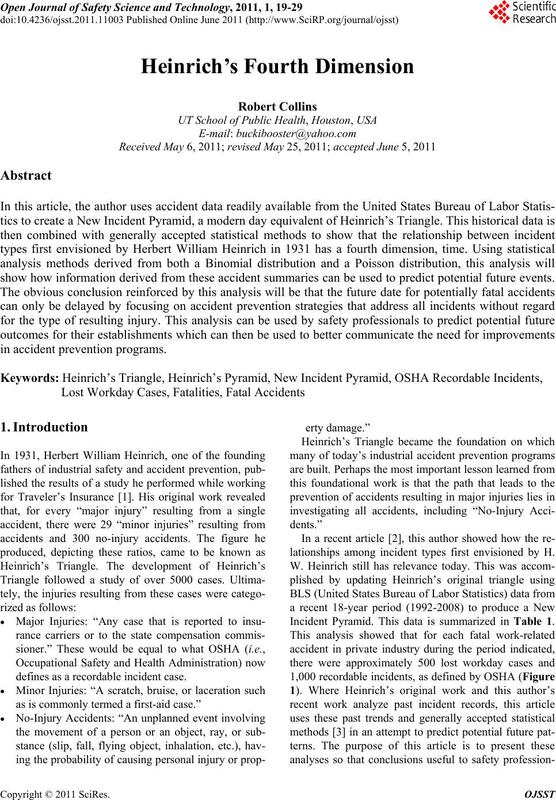 lationships among incident types first envisioned by H.
Incident Pyramid. This data is summarized in Table 1. Table 1. BLS incident data summary. als can be drawn and used to reduce future incidents. prevention programs may be gained. 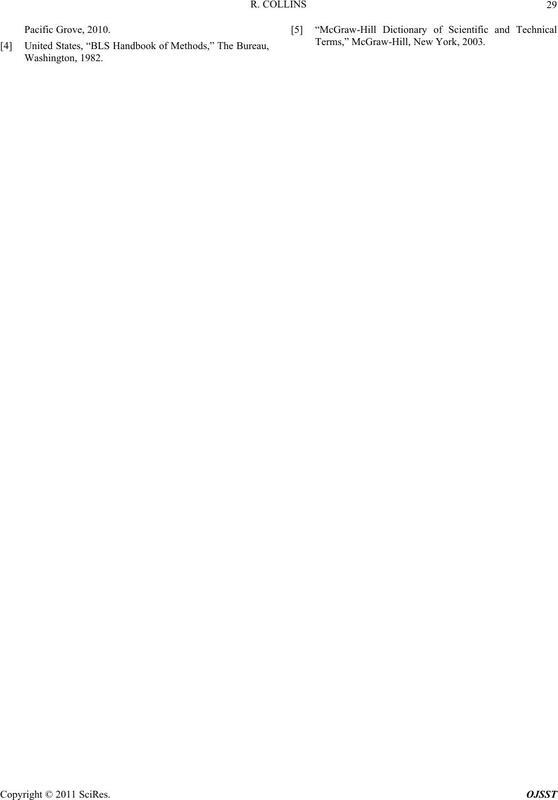 of the BLS Handbook of Methods . of all businesses/establishments in the United States. 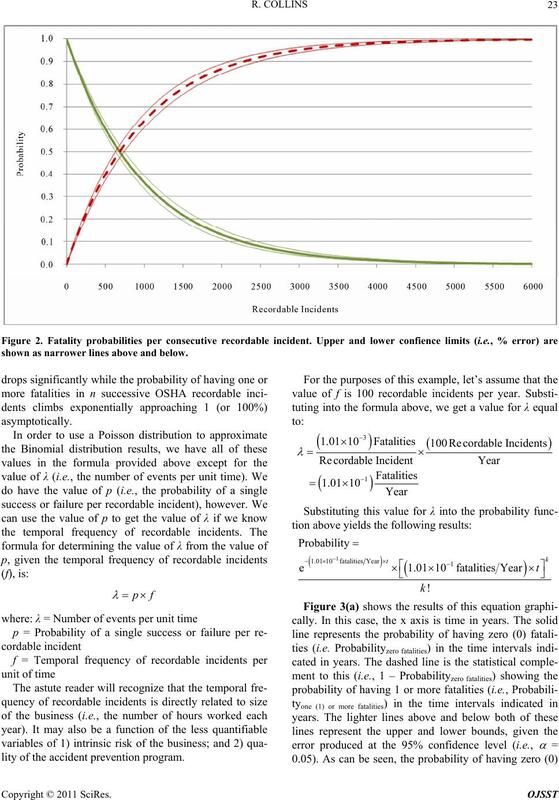 OSHA recordable incident for the time interval analyzed. 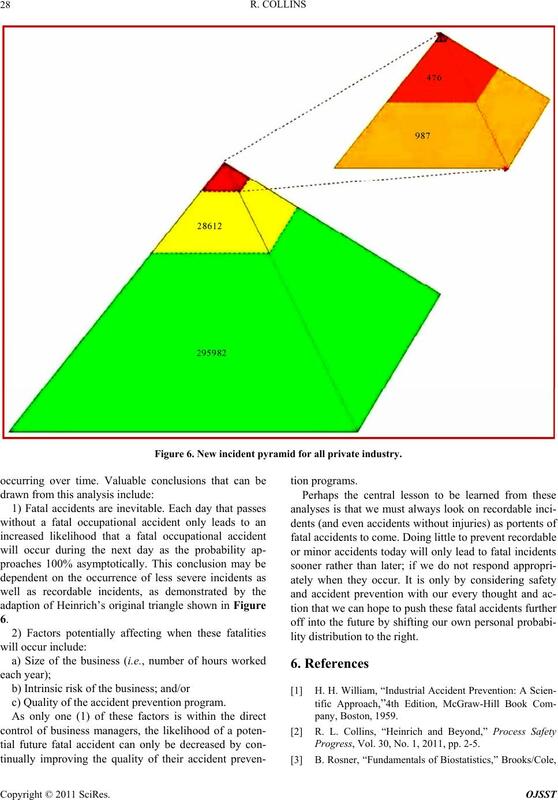 likelihood of fatal accident occurrence. 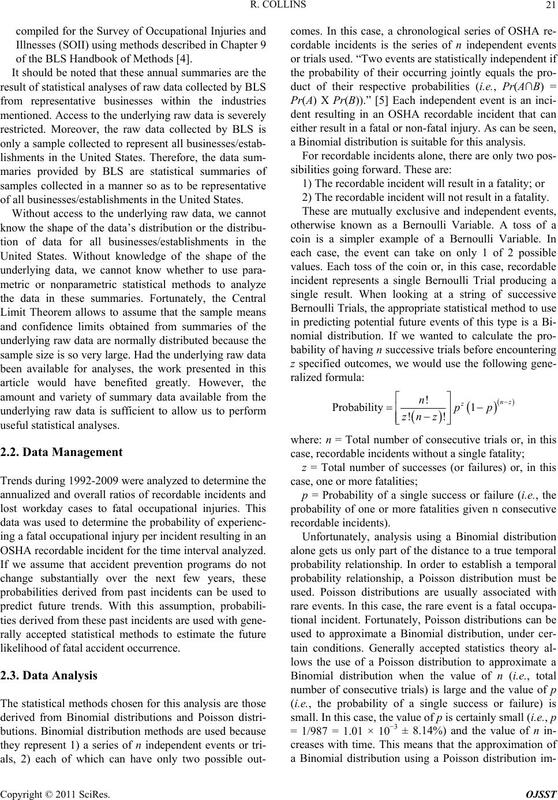 a Binomial distribution is suitable for this analysis. 2) The recordable incident will not result in a fatality. case, one or more fatalities. summarized in Table 1 from on-line summary tables. Table 2. 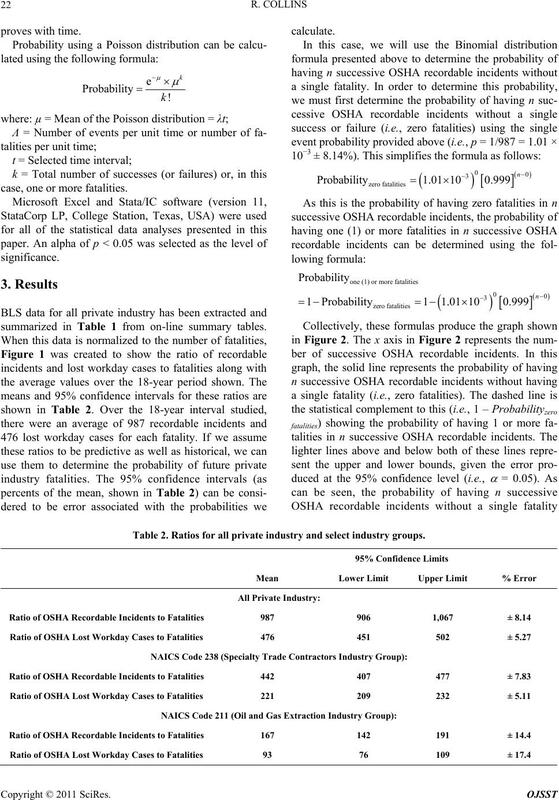 Ratios for all private industry and select industry groups. shown as narrower lines above and below. lity of the accident prevention program. 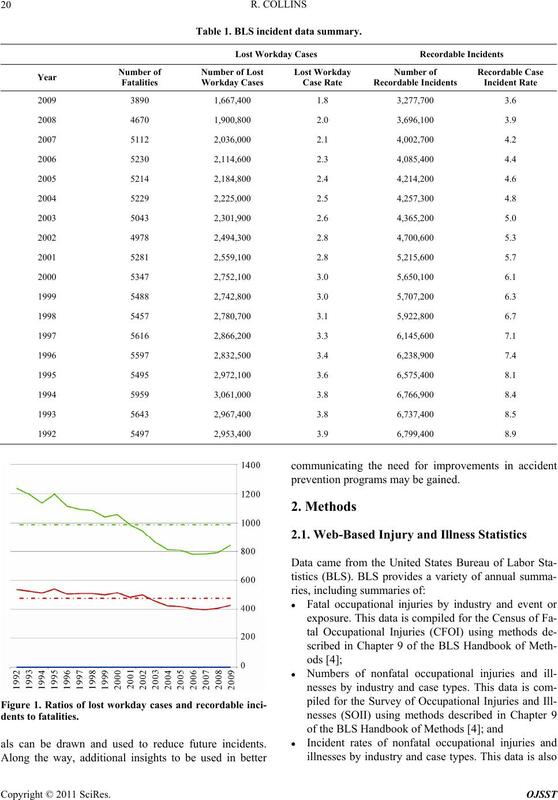 more fatalities exceeds 50% after only 7 years. ity (i.e., 1:477:987) were derived for all private industry. represents years while the y axis represents probability. 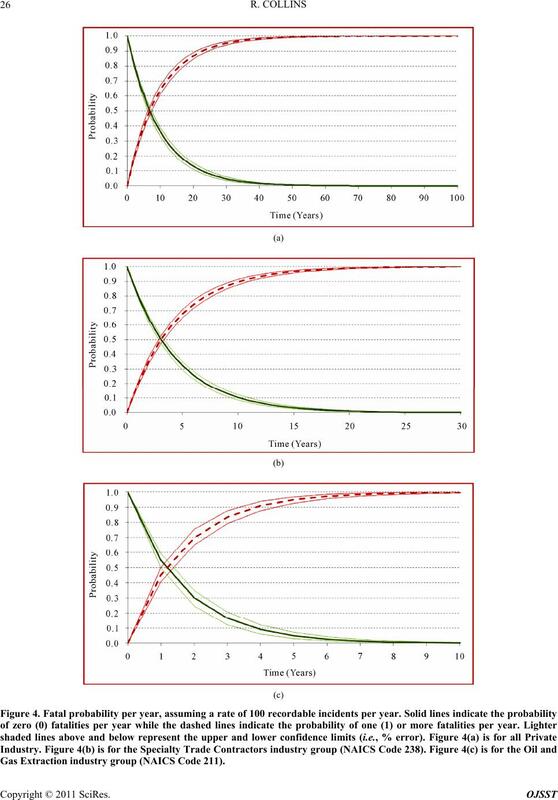 same probability for a specific business/establishment. time on the graph for this specific business/establishment. 238) are subsets of the larger private industry group. 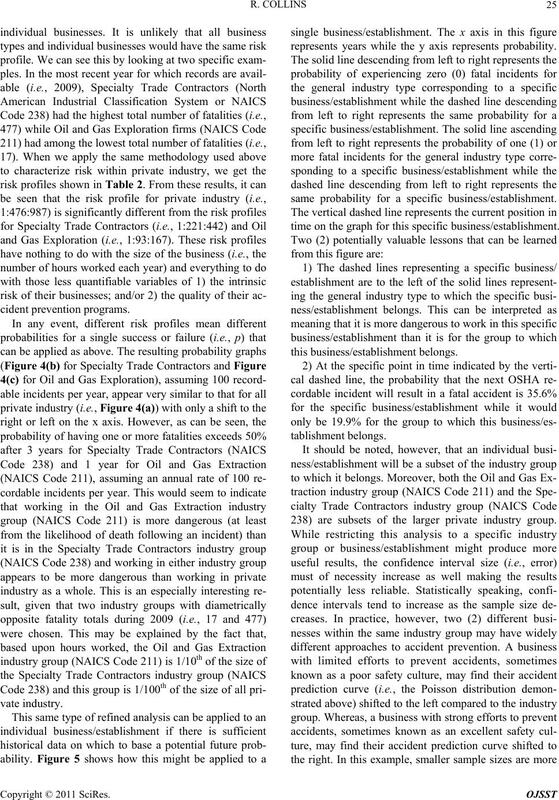 Gas Extraction industry group (NAICS Code 211). Figure 5. 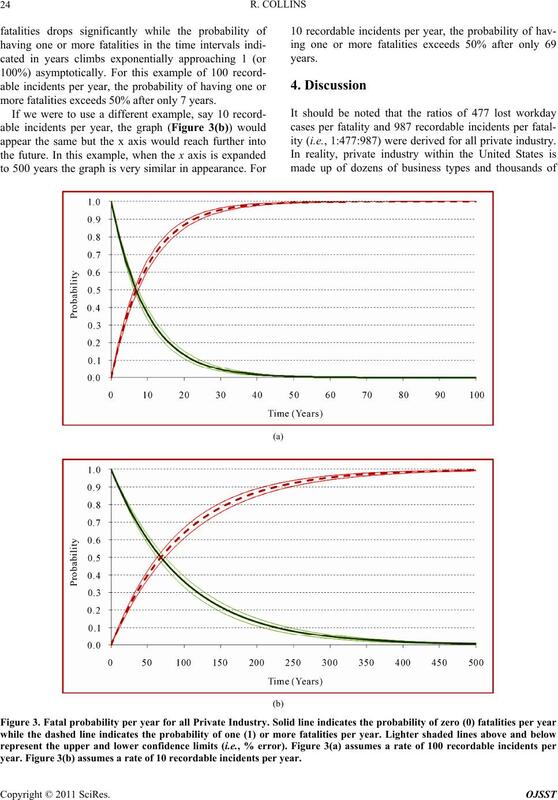 Fatal probability per year for a single business/establishment. vention policies, programs and procedures. such as is commonly termed a first-aid case” . would appear as seen in Figure 6 for all private industry. analyses presented in this article. the underlying raw data in lieu of these summary tables. Figure 6. New incide nt pyramid for all private industry. c) Quality of the accident prevention program. lity distribution to the right. Progress, Vol. 30, No. 1, 2011, pp. 2-5. Terms,” McGraw-Hill, New York, 2003.